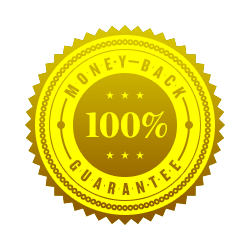 Don will review your up to (7) of your thank you letters and give you suggestions for improvement and answer any questions you have about sending your thank you letter. Try Perfect Thank You Letters for 120 days. If you don’t like it, or if you don't get the job you want, I'll refund every penny. Perfect Thank You Letters was written to help job seekers express gratitude to their interviewer and maintain a conversation with the employer after the first interview. 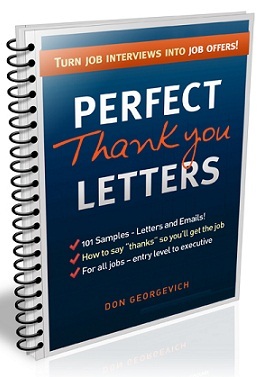 The guide includes sample thank you letters that were personally written by Don Georgevich that will help you write your own personal thank you letter. That’s why I'm inviting you to TRY the Perfect Thank You Letters after your next interview.